In 1833 Thomas Fowell Buxton, the parliamentary successor to William Wilberforce, proposed a toast to ‘the anti-slavery tutor of us all. - Mr. Macaulay.’ Yet Zachary Macaulay’s considerable contribution to the ending of slavery in the British Empire has received scant recognition by historians. This book seeks to fill that gap, focussing on his involvement with slavery and anti-slavery but also examining the people and events that influenced him in his life’s work. It traces his Scottish roots and his torrid account of years as a young overseer on a Jamaican plantation. His accidental stumbling into the anti-slavery circle through a family marriage led to formative years in the government of the free colony of Sierra Leone dealing with settlers, slave traders, local chiefs and a French invasion. His return to Britain in 1799 began nearly forty years of research, writing, and reporting in the long campaign to get rid of what he described as ‘this foul stain on the nation.’ James Stephen rated him as the most feared and hated foe of slave interests. His weaknesses and failures are explored alongside his unswerving commitment to the cause to which he gave his energy, sacrificed his business interests, and saw as a natural result of his strong religious faith. This book is a result of extensive research of Macaulay’s own prolific writings and seeks to illustrate the man behind them, his passions and his prejudices, his steely resolve and his personal shyness, above all his willingness to work unremittingly in the background, generating the power to drive the engine of anti-slavery to victory. 1. The first biography of Zachary Macaulay outside the family, celebrating his anti-slavery achievements and exploring his weaknesses 2. A book which contrasts with the two existing biographical portraits of Zachary Macaulay by relatives in replacing hagiography with a balanced assessment. 3. New material to demonstrate Macaulay’s love/hate relationship with France from the invasion of Sierra Leone to the later years where he became a life President of the French abolition movement. 4. An exploration of his strong family ties and business interests and how these were threatened by Zachary Macaulay’s overwhelming devotion to anti-slavery. 5. An attempt to counter the naïve picture of Zachary Macaulay as a cold and cruel man and a religious fanatic, by showing the humour, the passion, the loves and the inclusive aspects of Zachary Macaulay. In 1833 Thomas Fowell Buxton, the parliamentary successor to William Wilberforce, proposed a toast to 'the anti-slavery tutor of us all- Mr Macaulay'. Yet Zachary Macaulay's considerable contribution to the ending of slavery in the British Empire has received scant recognition by historians. 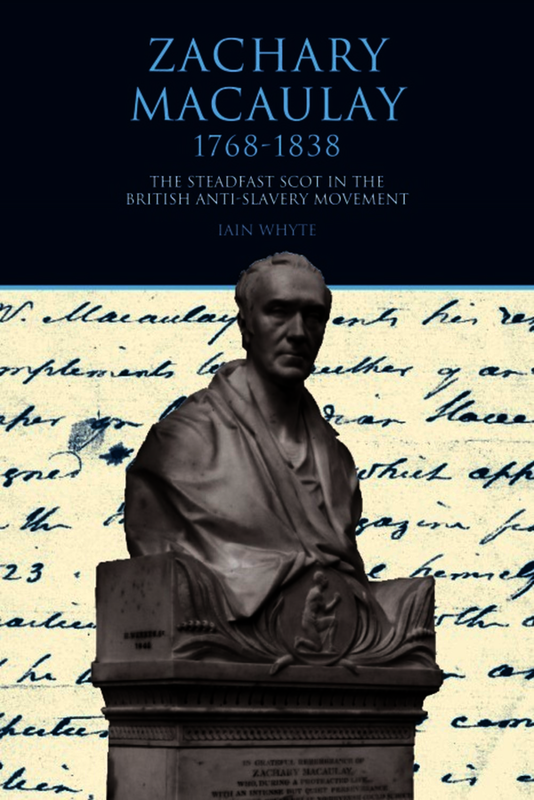 This book seeks to fill that gap, focusing on Macaulay's involvement with slavery and anti-slavery but also examining the people and events that influenced him in his life's work. It traces his Scottish roots and considers his torrid account of his years as a young overseer on a Jamaican plantation. His accidental stumbling into the anti-slavery circle through a family marriage led to formative years in the government of the free colony of Sierra Leone, dealing with settlers, slave traders, local chiefs and a French invasion. His return to Britain in 1799 began nearly forty years of research, writing and reporting in the long campaign to get rid of what he described as 'this foul stain on the nation'. James Stephen, the anti-slavery lawyer, rated him as the most feared and hated foe of slave interests. lain Whyte explores Macaulay's weaknesses and failures alongside his unswerving commitment to the cause to which he gave his energy and sacrificed his business interests, and which he saw as a natural expression of his strong religious faith. This book is a result of extensive research on Macaulay's own prolific writings and seeks to illustrate the man behind them, his passions and his prejudices, his steely resolve and his personal shyness. Above all the book demonstrates Zachary Macaulay's willingness to work unremittingly in the background, generating the power to drive the engine of anti-slavery to victory. Rev. Dr. Iain Whyte is a minister of the Church of Scotland and an Honarary Post-Doctoral Fellow of the University of Edinburgh. He was formerly Chaplain to the Universities of St Andrews and Edinburgh.